Introduced two years ago, Hensel Grand Softboxes have become very popular. Due to their deeper construction form, these nearly round boxes supply light which has a noticeably more three-dimensional quality than typical octa-versions. 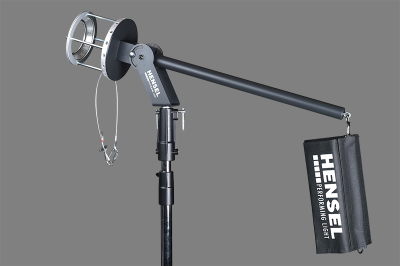 However, many people and fashion photographers would like an even more striking lighting: thus Hensel has developed the “Bounce Adapter;” a special stand holder with integrated connector ring allowing you to mount Hensel compact flashes and flash heads indirectly in the Grand Softboxes. The results are increased brilliance, better shadow definition, and higher light efficiency when compared with using the usual connector ring and direct mounting. The use of the new bounce adapters turns Grand Softboxes into giant reflectors which can also be ideally used without front and inner diffuser. Furthermore, the Bounce Adapter, developed and manufactured in Germany, has a very sturdy mechanical construction. A detachable pole lets you align and balance the whole unit with the help of a counterweight or weight bag (eyelet included). This makes handling much easier, especially when using the Grand 190 or Octabox 200. The integrated tilt bracket attaches to professional lamp stands with a 28 mm pin, but it also has a 16 mm socket for smaller stands. 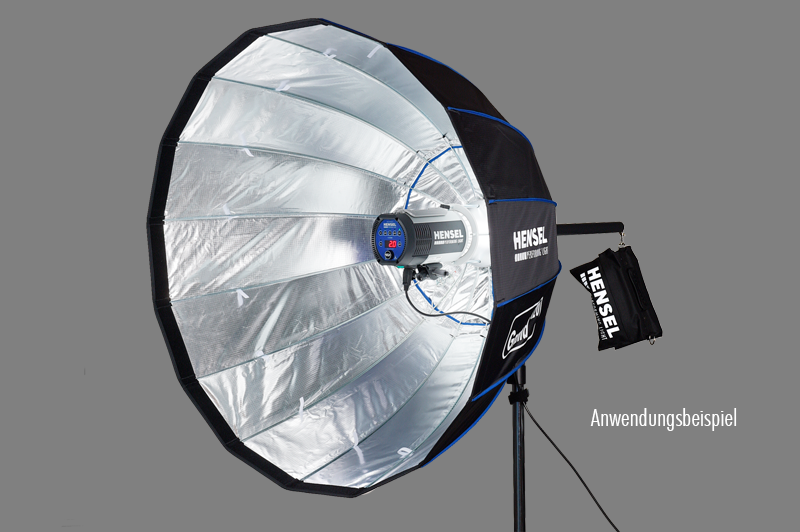 Besides the Grand Softboxes with 90 cm, 120 cm, and 190 cm diameter, the Hensel Octaboxes 120, 150 and 200 can also be used with the bounce adapter. Delivery includes a safety rope for flash heads and a weight bag. 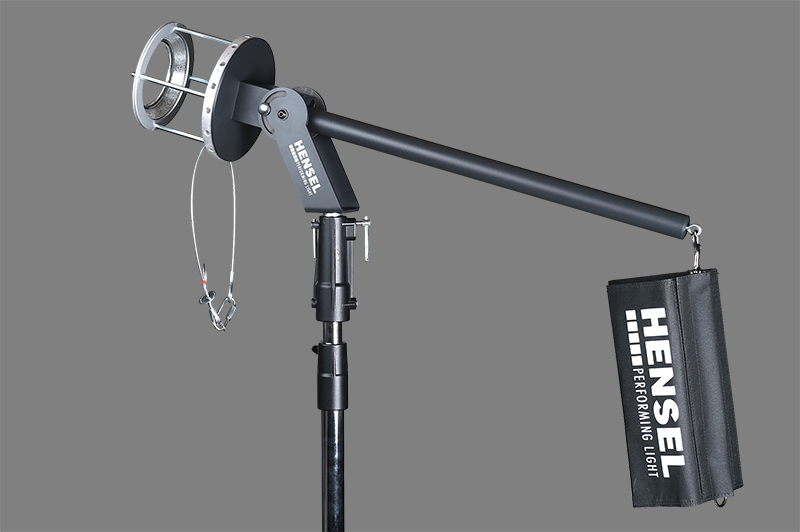 The Hensel Bounce Adapter will be available effective July the 1st, 2015, code no. : 2323010. More info at Light Shaper Accessories -> Bounce Adapter.